When there is a change to a survey, or the data that a survey references, then these changes can be pushed automatically down to all the affected phones. You can specify automatic refresh in the organisation settings or in the phone settings for Wifi, Cellular or both. The organisation settings, if set on, will override the settings on the phone. Note these settings have been used for a while but previously would only automatically submit finished results to the server. Now they also automatically download new versions of the form. The latest version of odkCollect and FieldTask 5 can collect the time taken to complete each questions. You can now enable forms for this timing data and then view this data through the API. To enable the collection of timing data open the survey in the online editor. Then select File | Settings from the menu. There will be a checkbox “timing data” that you can click to enable the collection of times. To view the data add “audit=yes” to a request for data from the API. For example the following 2 API calls download data, including question response times, for a survey. The second URL is for the sub form. “Acknowledge” question type added to the online editor. This creates a question with a single checkbox. Updated the Kobo API to return data from sub forms as well as the main form. Using this link https://sg.smap.com.au/api/v1/data (user: gplay, password: gplay) returns a list of the available forms. For the form titled “Sub Forms” you will see there is an extra URL returned that allows you to select the sub form of data. To support sub forms additional parameters have been added such as “start_parkey”. For details refer to the documentation. 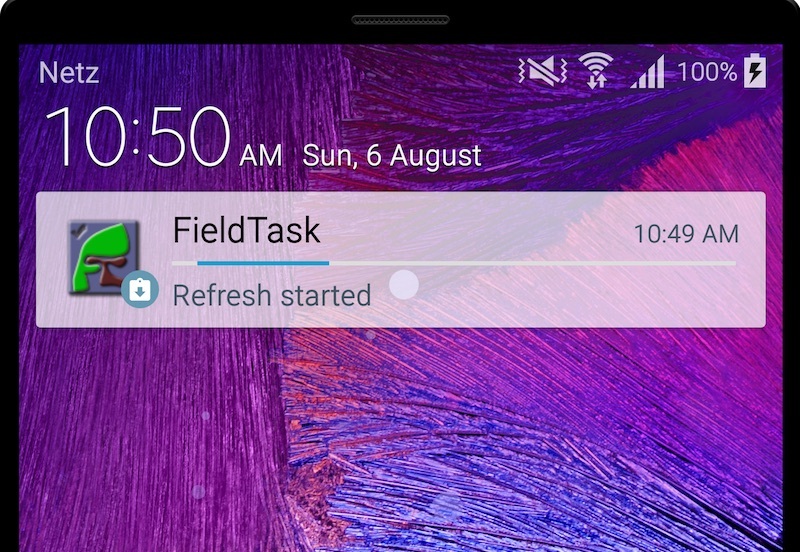 Upgraded FieldTask to include odkCollect 1.8.1. This is considered a major release so it has been given the version number 5.0. The reason being that this update no longer supports versions of Android up to 4.04. Hence FT4 will be kept available for older versions. FT5 will be in google play shortly and will then be progressively rolled out onto servers. This entry was posted in Uncategorized on August 7, 2017 by Neil Penman. Hi, thank you for this awesome developments. I wish to know where to find the repository for this version on GitHub. I could you please share a link if available. I must admit though that I have never been much concerned about creating a development community around these so they are not maintained with the rigour and documentation of other community repositories like odk collect. Hence you may find customisation and building of the source a reasonable challenge. Yes but there is an issue. The repository is here. https://github.com/smap-consulting/smapserver/ However it is a bit behind at the moment as about 6 months ago I had to add quite a lot of code related to the interfacing to AWS back end services and temporarily I made the current repository non public. I need to get on and make a public version available that does not have private keys and code not relevant to people installing their own repository. Not too hard but not done yet.